IOLTA accounts are client trust accounts. They are needed because personal injury lawyers regularly deposit checks for money to be paid to a client in the future. You can't commingle client funds with your own money but you can commingle client funds within your IOLTA account. The rules regarding IOLTA are very strict. 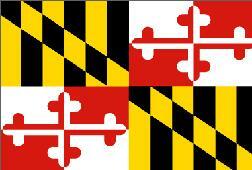 Lawyers who fail to follow this rule to the letter risk losing their license to practice law in Maryland. The Court of Appeals does not tolerate attorneys who do not respect the separation of church and state when it comes to the client's money. Attorney trust account identification. An identification of all attorney trust accounts maintained, including the name of the financial institution, account number, account name, date the account was opened, date the account was closed, and an agreement with the financial institution establishing each account and its interest-bearing nature. for each deposit, a record made at or near the time of the deposit that shows (i) the date of the deposit, (ii) the amount, (iii) the identity of the client or third person for whom the funds were deposited, and (iv) the purpose of the deposit. for each disbursement, including a disbursement made by electronic transfer, a record made at or near the time of disbursement that shows (i) the date of the disbursement, (ii) the amount, (iii) the payee, (iv) the identity of the client or third person for whom the disbursement was made (if not the payee), and (v) the purpose of the disbursement. for each disbursement made by electronic transfer, a written memorandum authorizing the transaction and identifying the attorney responsible for the transaction. Cross-References. -- See Rule 16-609 c, which provides that a disbursement that would create a negative balance with respect to any individual client matter or with respect to all client matters in the aggregate is prohibited. for each attorney trust account transaction, a record that shows (i) the date of the deposit or disbursement; (ii) the amount of the deposit or disbursement; (iii) the purpose for which the funds are intended; (iv) for a disbursement, the payee and the check number or other payment identification; and (v) the balance of funds remaining in the account in connection with the matter; and. an identification of the person to whom the unused portion of a fee or expense deposit is to be returned whenever it is to be returned to a person other than the client. Record of funds of the attorney. A record that identifies the funds of the attorney held in each attorney trust account as permitted by Rule 16-607 b. Monthly reconciliation. 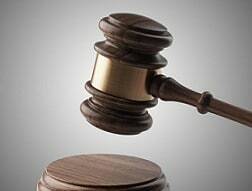 An attorney shall cause to be created a monthly reconciliation of all attorney trust account records, client matter records, records of funds of the attorney held in an attorney trust account as permitted by Rule 16-607 b, and the adjusted month-end financial institution statement balance. The adjusted month-end financial institution statement balance is computed by adding subsequent deposits to and subtracting subsequent disbursements from the financial institution's month-end statement balance. Electronic records. Whenever the records required by this Rule are created or maintained using electronic means, there must be an ability to print a paper copy of the records upon a reasonable request to do so. Committee note. -- Electronic records should be backed up regularly by an appropriate storage device. Records to be maintained. Financial institution month-end statements, any canceled checks or copies of canceled checks provided with a financial institution month-end statement, duplicate deposit slips or deposit receipts generated by the financial institution, and records created in accordance with section (a) of this Rule shall be maintained for a period of at least five years after the date the record was created. 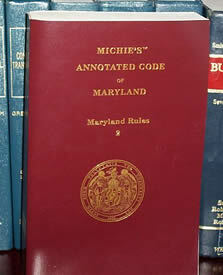 A committee note indicates that a lawyer or law firm may satisfy the requirements of section (d) of this Maryland Rule by maintaining any of the following items: original records, photocopies, microfilm, optical imaging, electronic records, or any other medium that preserves the required data for the required period of time and from which a paper copy can be printed.